I have since been released as Pack Committee Chair at my church with Cub Scouts. 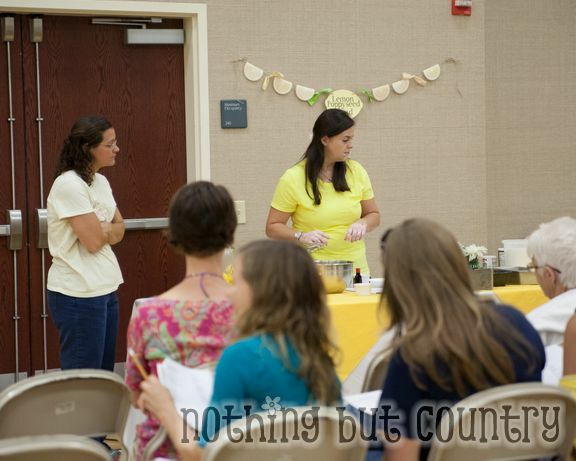 My new calling/job is Relief Society Night Meeting Coordinator. This was my 1st month and it was alot of fun! This is what our invites looked like that we passed out. I cut out the shape on my silhouette machine and printed on yellow cardstock. 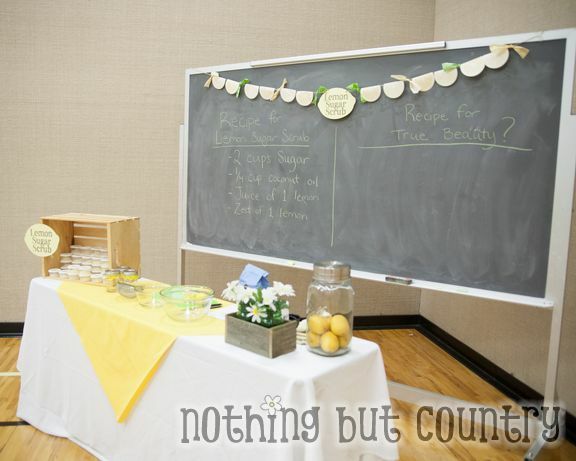 Super simple and cute!! 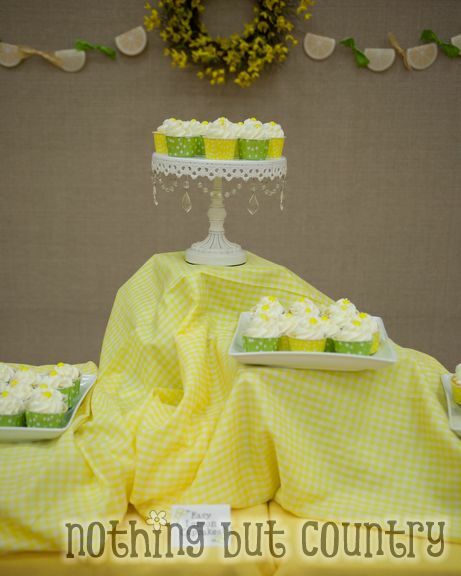 We decorated in yellow/white and some green. We had 4 classes and we all rotated class to class. 1 class was a spiritual class on turning lifes lemons into lemonade. All the classes were great! 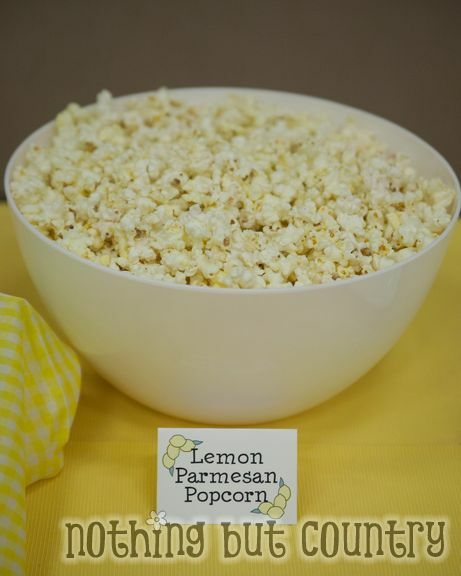 We passed out a handout with all the class notes and recipes we got ahead of time and printed them up in a cute packet seen here..
We also had a survey so we can get to know the sisters better as we have a whole new Relief Society Presidency as well. 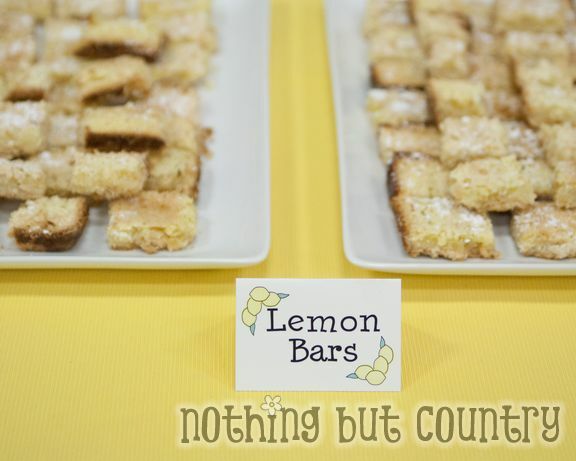 At the end of the night we had lots of lemon treats. 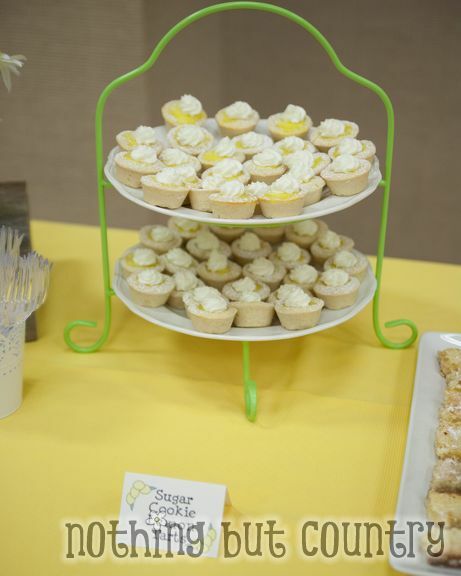 All the treats we also included the recipes into our handout/booklet the gals took home. It was a fun night!! 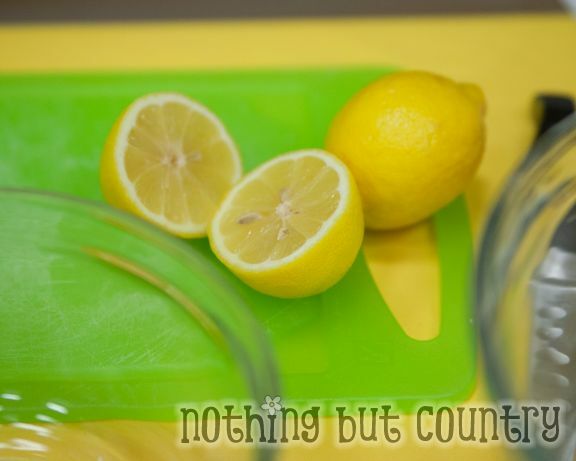 Cleaning with lemons class was awesome too! 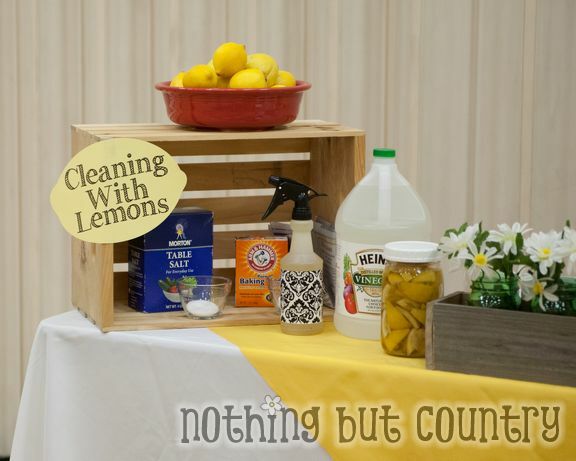 There are SOOOOO many very cool things you can do with lemons for your home. I can’t get over what it can do! Our Lemon Poppyseed Class and watching her make this amazing bread!! 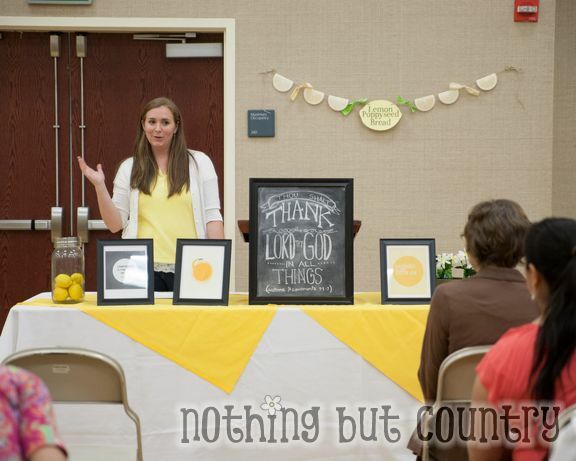 Our totally cute sister teaching/inspiring us about turning lemons into lemonade. 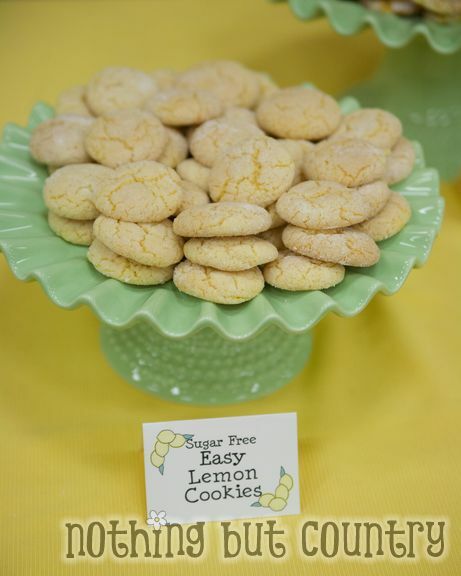 Next came all our yummy LEMON treats!! THEY WERE SO GOOD!!!! I have never had a Pavlova before and I am now HOOKED!! 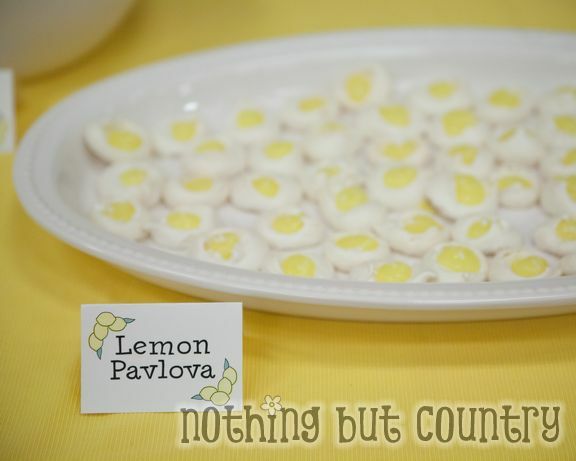 Usually yes Pavlova’s are bigger but this was just to be a quick treat and that was the best punch of lemon in my mouth. 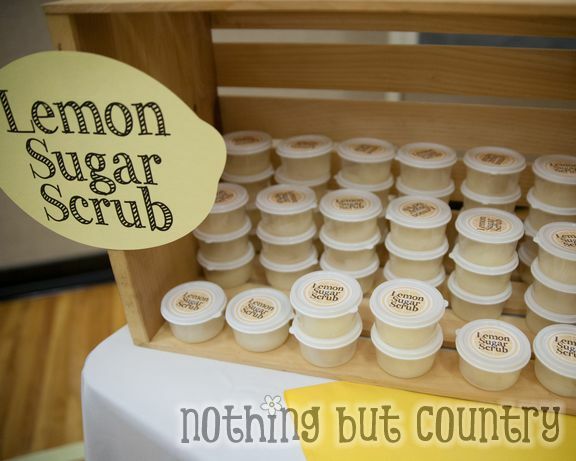 I love lemon curd!!! YUMMMY!!! 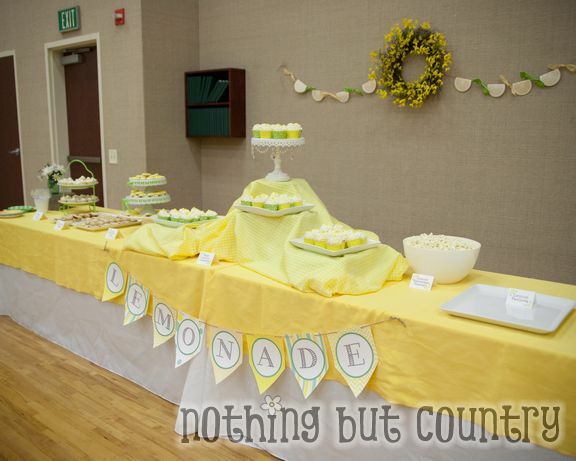 Our spread was so fun and yellow!! 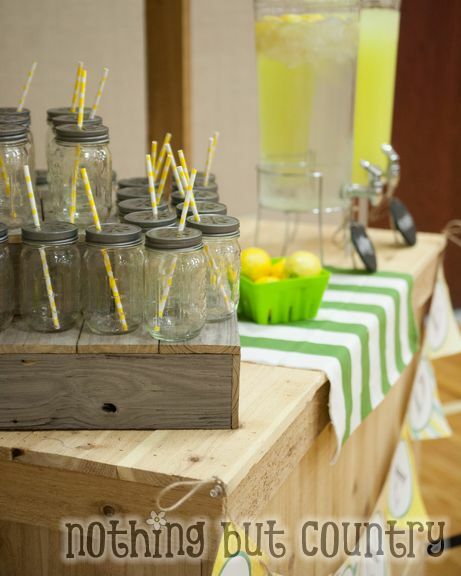 We served lemon water or lemonade in cute mason jars with pewter lids and yellow straws. I just found the yellow straws clearanced at Walmart this week for .50!!! Talk about a great find!! 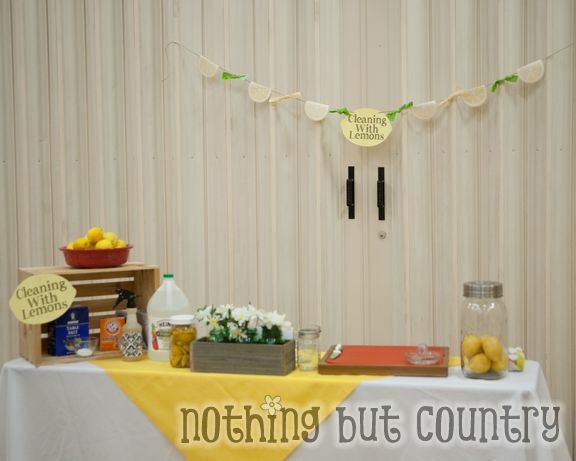 I love my lemonade stand!! My husband just built me that for Mothers Day. 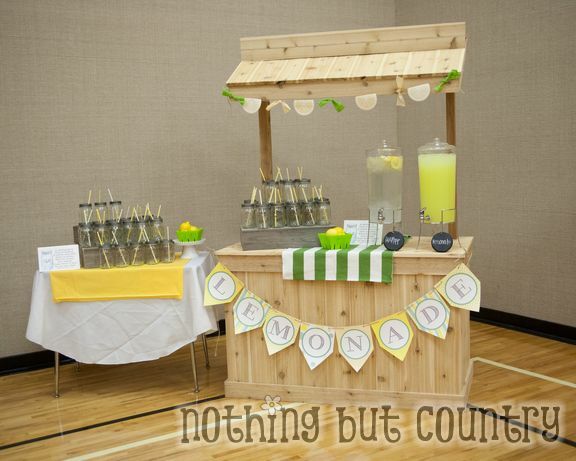 I still love that pallet lemonade stand!! LOVE IT. I still have it but it is falling apart majorly. And it is all 1 piece. 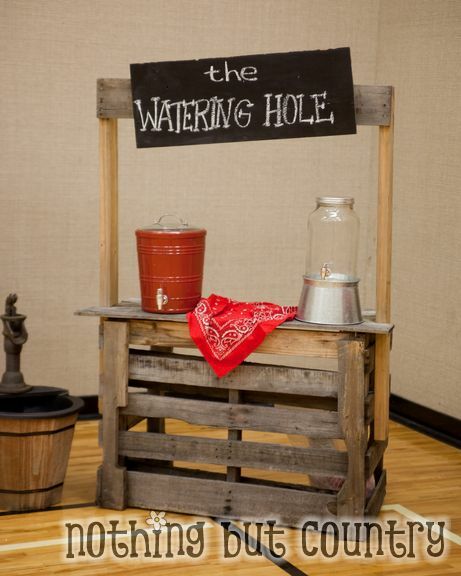 My NEW Lemonade Stand you see here comes apart!! The roof comes off, the 2 side posts slip in and then the bottom. It is made of cedar so it is a lighter weight wood. I have the best husband EVER!!!! LOVE HIM!! 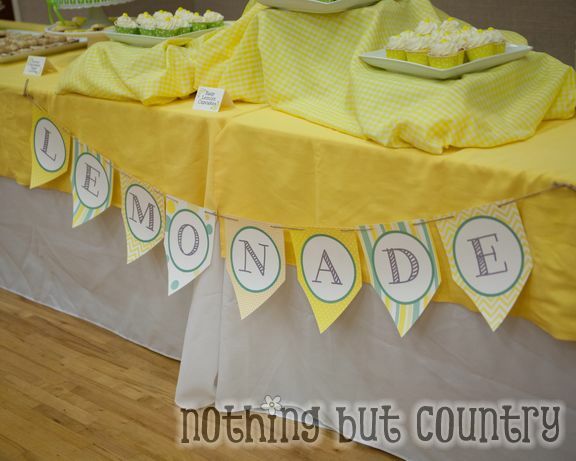 Will have to share how he made that lemonade stand with you soon! It was an awesome night!! I am excited how it all turned out!! 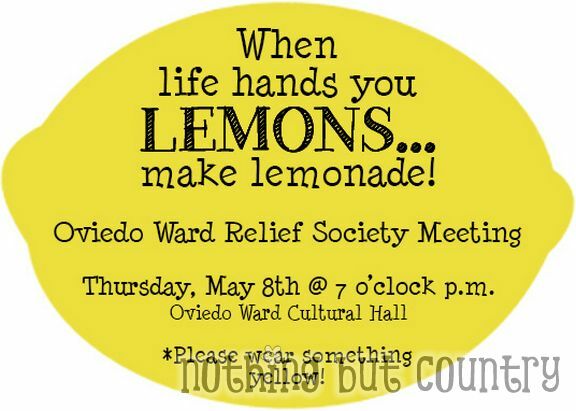 Now to start working on JUNE’s Relief Society Night– I have another fun night planned as well!! WOOT WOOT!! 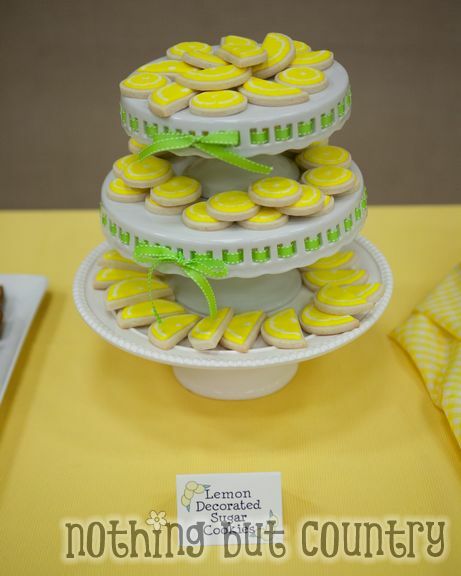 I love the versatility of lemons. I use them to clean sometimes. 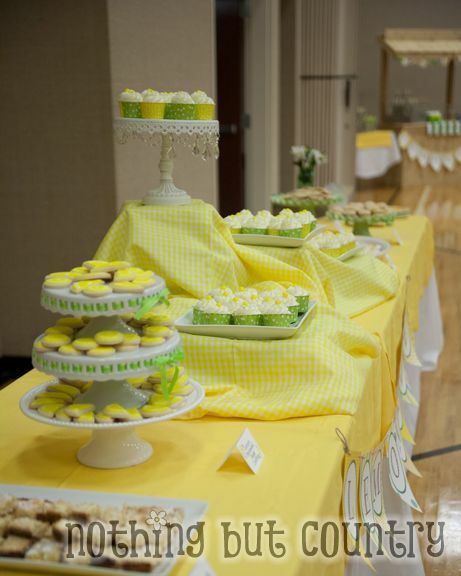 Love the tablescape. Too cute! 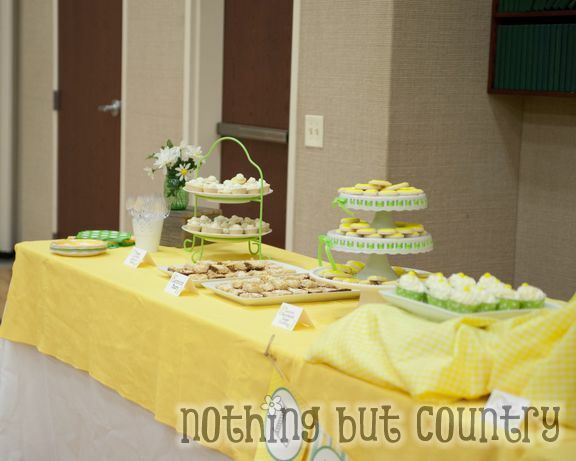 Those cupcakes look sooooo good. 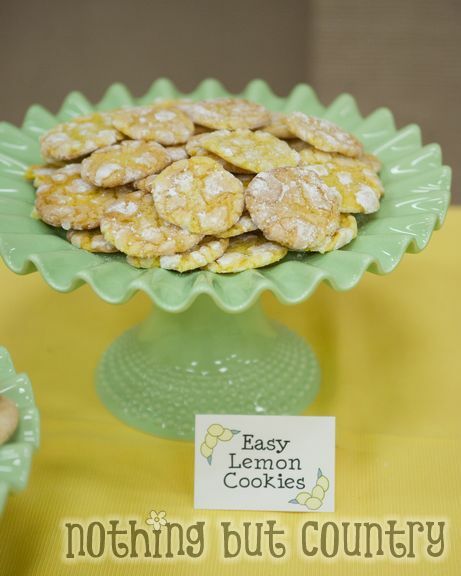 This is the perfect time of year for lemon inspired goodies! 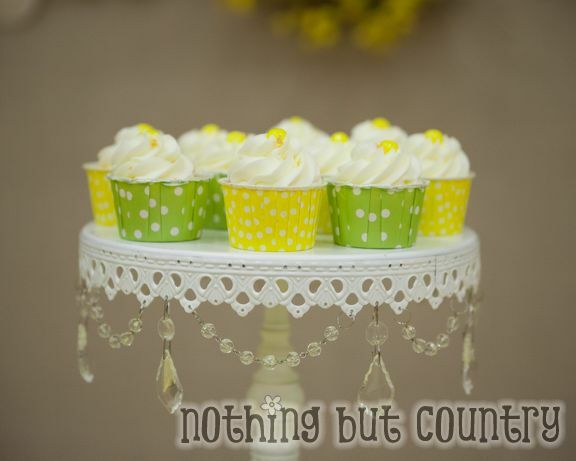 What a great idea and everything is so cute!! 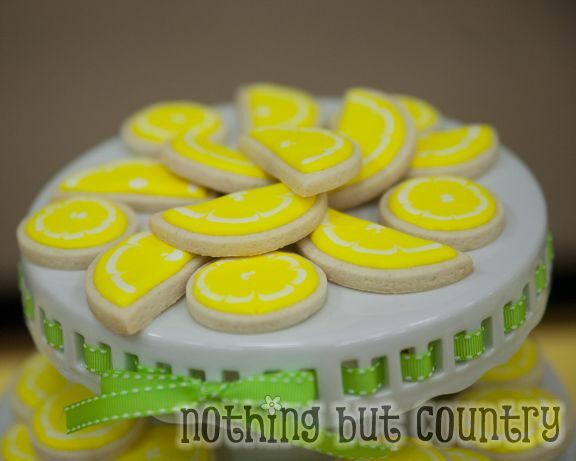 I love everything lemon. Thank you for sharing. 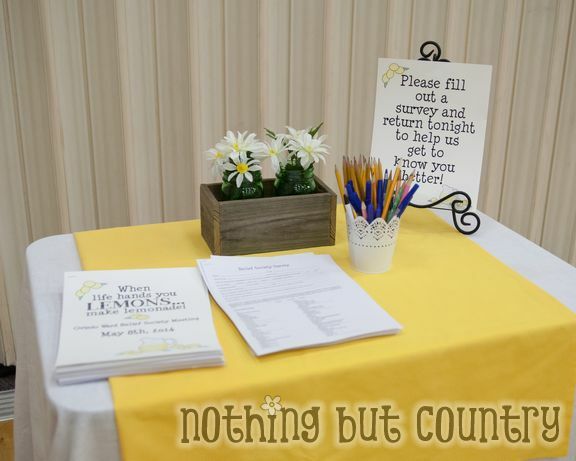 Would you share your handouts or recipes? Hi! Awesome rs night! Anyway you could attach or send me an email of the packet from the night?! I absolutely love this activity. 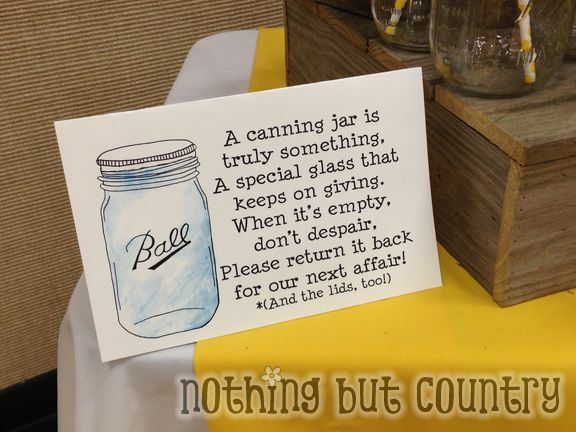 Are you willing to share any printables? I would also love a copy of your recipes, treats Scrub and cleaners. Could you e-mail me the packet of info that you gave out to the sisters? Such a great activity!! What a lovely activity for Relief Society, I so excited I’m doing something similar for the month of July and looking for ideas saw your post. So cute! 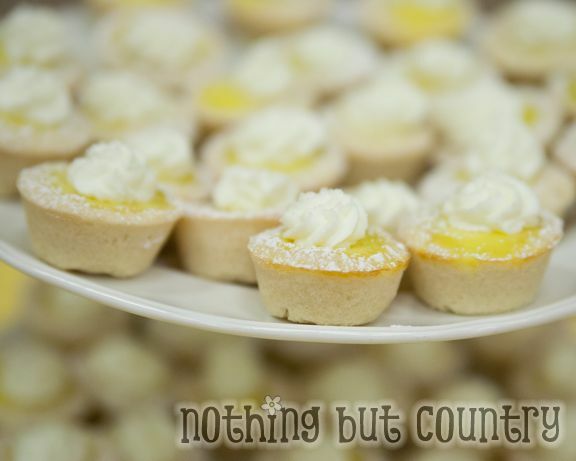 Like the others if you wouldn’t mind sharing I would love if you’d share with me. Thank you for sharing your ideas. would you please email a copy of the packet that you gave to the sisters. This sounds so fun and I am excited to try it. Could you please share your handouts and recipes?!?! This is darling! Thank you for sharing!